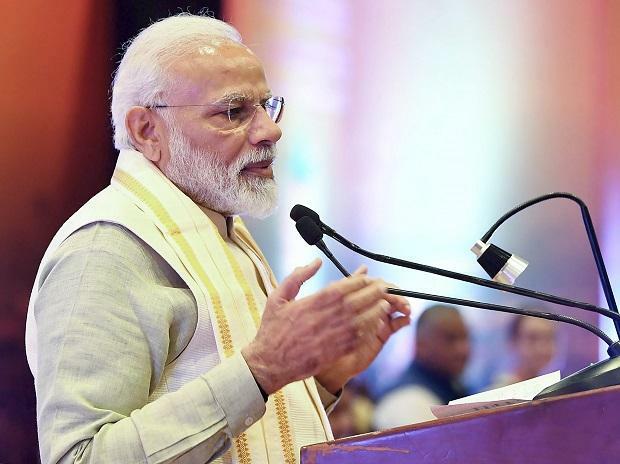 Prime Minister Narendra Modi Sunday launched the ambitious Pradhan Mantri Kisan Samman Nidhi (PM-KISAN) scheme transferring the first instalment of Rs 2,000 each to over one crore farmers, as he slammed the opposition alleging they "remember farmers once in 10 years -- just before elections". Initiating the electronic transfer of Rs 2,000 each, he said the first instalment of money under the scheme has been deposited in accounts of 10.1 million farmers and those who have been left out will get it soon. "The first instalment of money under the scheme has been deposited in the bank accounts of the farmers directly...those who have been left out will get it soon," Modi told the gathering at the Fertiliser Corporation of India ground here. The Prime Minister also interacted with a select group of farmers, representing different states, through video-conferencing and took a swipe at his political rivals. "They remember farmers once in 10 years -- just before elections. They get a fever of loan waiver and distribute it as 'revari" (dole) to garner votes....they did not know that Modi will expose them this time," he said. The Prime Minister started his speech by chanting 'Jai Jawan, Jai Kisan' and said that for his government, the Rs 75,000-crore scheme is not an election promise. He said he talked about it in Parliament only after making budgetary allocations for it. "Loan waivers would have been easy and convenient for us too. We could also have distributed 'revari' for political and election benefits, but we can't commit such a sin. Loan waiver benefits only a select few," he said. The Prime Minister urged the farmers to beware of any trap and rumours stressing "this is your money and it will not be taken back". "The previous governments did not have the intention to help the farmers so they could not take the right decisions...and so in 2014 you gave the BJP an opportunity to change this situation," he said. The Prime Minister said his government was working with complete honesty to provide all possible resources to help farmers double their incomes by 2022. "The days are gone when the Rs 85 of the Rs 100 sent by the government used to be siphoned off by the middlemen," he said. There is no role of middleman in this scheme, he said. This scheme has been made foolproof and will be implemented with complete transparency, Modi said and asked state governments to come forward with list of farmers who would be its beneficiaries.